Amy Butcher is an award-winning essayist and author of the forthcoming Mothertrucker (Little A Books, 2021). 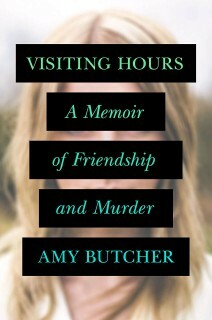 Her first book, Visiting Hours (Blue Rider Press/Penguin-Random House, 2015), received praise and starred reviews from the New York Times Sunday Review of Books, NPR, The Star Tribune, Kirkus Reviews, Cosmopolitan and Glamour, among others. She earned her M.F.A. in Nonfiction from the University of Iowa. Prior to her position with Ohio Wesleyan, she served as a teaching fellow at the University of Iowa and as the 2012–2013 Olive B. O’Connor Creative Writing Fellow at Colgate University, where she led courses on advanced and experimental nonfiction forms. Her work has appeared recently in Granta, Harper's, The New York Times "Modern Love," The New York Times Opinion Pages, The Washington Post, The Denver Post, The American Scholar, The Iowa Review, Lit Hub, Guernica, Gulf Coast, Fourth Genre, and Brevity, among numerous other magazines and journals. More recently, her 2018 essay, "Women These Days," was listed as a Best Of 2018 essay by Entropy Magazine and nominated for a Pushcart Prize and for inclusion in the Best American Essays series by the editors at Brevity Magazine, and her forthcoming essay "Flight Path" was awarded grand prize in The Sonora Review's flash prose contest by guest judge Nicole Walker. Additional recent work has been featured on BBC Radio and National Public Radio, anthologized in Best Travel Writing 2016 and Beautiful Flesh: A Body of Essays, and awarded grand prize in the 2016 Solas Awards' "Best Travel Writing" series and the 2014 Iowa Review Awards as judged by David Shields. Her essays have also earned notable distinctions in the Best American Essays series of 2015, 2016, 2017 and 2018. Additional essays have twice been nominated for Pushcart Prizes and anthologized in The Best of Vela, Writing True: The Art and Craft of Creative Nonfiction, and The Soul Of A Great Traveler. Additional work has earned finalist distinctions in contests sponsored by Tupelo Quarterly, American Short Fiction, and Hunger Mountain, among others. Her 2016 op-ed, "Emoji Feminism," published in The New York Times, inspired Google engineers to create thirteen new female-empowered emojis, accepted in July 2016 by the Unicode Emoji Subcommittee and included in software packaging on all smartphones internationally. In August 2017, these emojis were nominated as Design of the Year by the Design Museum in London, where they are on display alongside a hijab designed by Nike, Wolfgang Tillmans’ Remain Campaign for the Brexit referendum, a furniture line made from molten lava, a 3D printed self-driving bus, and items from Kanye West's clothing line, among other artifacts. Previous winners have included the 2012 Olympic Torch and Human Organs-on-Chips, a micro-device lined with living human cells to mimic the complex tissue structures of the human body. 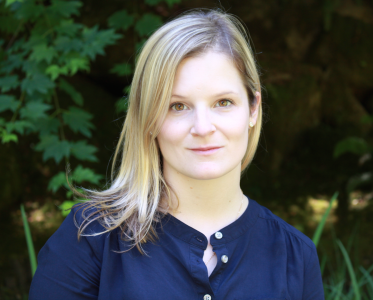 The recipient of grants and awards from Colgate University, the Vermont Studio Center, the Virginia Center for Creative Arts, the Kimmel Harding Nelson Center for the Arts, the Stanley Foundation for International Research, and Word Riot, Inc., she spends her summer teaching writing at the Iowa Summer Writing Festival and the award-winning Sitka Fine Arts Camp in Sitka, Alaska. She has two rescue dogs, beautiful beasts, who often join her for office hours on campus.